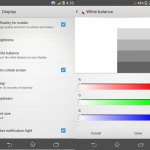 We will be covering a series of post here where we will bring out some of the weird issues happening to Sony Xperia Z1. 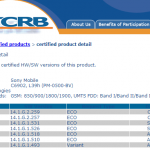 It is the “Best of Sony” yet but it seems in respect to its hardware quality and the firmware bugs it still lags. We first discussed here the yellow hue tint issue on Xperia Z1 which was acknowledged by Sony as per their change log of 14.1.G.2.257 firmware update but we can confirm and even many users that yellow hue tint on Xperia Z1 is still present and Sony is taking this issue as firmware bug though it likely seems to be an issue related to faulty panels used in Xperia Z1. 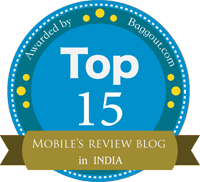 We on our part have replaced our Xperia Z1 twice from Sony on the account of same yellow hue tint issue and yet not satisfied. 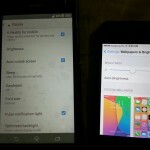 Let’s talk about another issue, as seen by an Xperia Z1 user. Lately during a normal use of Xperia Z1, his USB port cover fell of somewhere, weird it is. 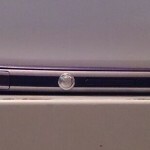 First see the image of Xperia Z1 USB port cover not at its proper position. And then it took precisely one week for this to happen. Apparently the USB charger port cover fell off sometime this weekend while taking pictures. We searched high and low but couldn’t find it anymore, it seems it fell out during the walk and not before, during, or after charging. I’d been afraid this would happen, the latch felt very flimsy at first open and I am opening and closing it frequently since I don’t have a chance at using ADB over WiFi in many places. Well it seems terribly bad that it just came out. It certainly can’t be concluded that is it users negligence issue or an issue of faulty hardware but what’s the solution now. Is this replacement of part covered under Sony’s warranty. Well if you have a strong luck Sony service center may replace the part under warranty though we guess they may charge you an amount for the same. You can avoid this issue by using Xperia Z1 magnetic charging dock DK31 or EC21 charging cable to charge your Xperia Z1 and use the Xperia Z1 USB port only when need to connect it via USB cable for some needful purpose otherwise do no frequently open your port flaps because if they fell of or broken your Xperia Z1 might not remain water resistant. Are you looking for replacement for USB Port cover ? After seeing this we were looking for some solution to get Xperia Z1 USB port replacement cover, found some but after applying them, does Xperia Z1 remains waterproof, a question of interest to us and many. 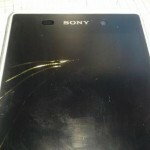 Xperia Z1 Screen and Body bent appears – User’s fault or Hardware issue ? Yes i know that but its not my phone, i have mentioned that it is some one elses phone who belong to Ireland where they don’t have such warranty. 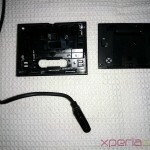 Did sony address the back plate issue?? just get it replaced. I got mine when back plate was lifted from camera end. My flap is still on but the pick that supposed to hold it in place it’s broken. Why is it not possible to buy this part?? Mine fell off today,can’t find it. The phone is only a few days old, so my service provider I got it through as part of the plan will swap it out on the spot for a new handset. Might have to look into these magnetic chargers I Think! Facing the same problem. The quality of the flaps is really really bad. Keeps falling off and takes me 5 mins to get ot back in. Don’t know anymore if.the phone is still waterproof. It seems like sonly only intended to make it waterproof for small amount of accidental water damage. But then they shouldn’t have posted underwater videos with the phone because in case ot gets damaged they will just claim that you left the flaps open. Regret buying the phone where there are so many better options. Mine came of today, (Z1) after two days of owning the phone, quite tempted to return the phone and go back to an iphone, surely an expensive product like this shouldn’t be so easily damaged? why did sony not include the magnetic charging cable with the phone? this would have been so much better, and leaps and bounds ahead in ease of charging. I have found replacement parts on eBay if anyone is interested, its £12.99 for all three port covers, apparently original parts but who knows on eBay. Same problem happened today after a couple of weeks use. I’ve had the same problem. Just after 2 hours of playing with my new phone my usb slot cover just felt of. I called the Sony Customer Service and they told me that I have to send them my phone with everything that was in the box + receipt. They didn’t want to tell me if it was covered by the warranty or even a price if it’s not. Fortunately I was able to pull out the remainings of the cover slot and get a new one from eBay for around 10 GBP. So I was able to save 2 weeks in a repair shop and probably 50-60 Punds if it was not covered by my warranty. Still I love my phone :). Same thing. Walking around, just noticed the usb lid is missing. 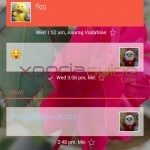 What makes me particularly annoyed, is that I had same thing happen to Xperia Ultra. First the usb lids rubber seal went missing, week later the lid gone, it broke off the plastic strip that it is attached to. What was a beautiful device, now looks like scrap. Thank Sony for NOT making this 20 cent part available for online purchase! I guess at any moment aftermarket replacements will appear on Ebay, priced $10, shipping from China another $10 and a nice 6 weeks wait. i have same problem with you guys. and i really don’t know what to do! im here in the philippines . is there anyone knows where sony branch i can get any replacement? I have the same problem. I am in the USA in I don’t know where to get this taking care of. I dropped my phone in some water in I am scared to turn it on because the USB Port is missing. I hope it work when ever I turn it on.I am really sad about it. My xperia z1 usb flap missing.its still under accidental.damage bt sony service centre is not considering under warranty? What to do? and is it c6903 ?? The Z1 is completely waterproof, without regard to even its’ headset jack portal! Although that too might remain an insecurity? Had the same issue twice, first time I couldn’t find it and ordered a new set from some chinese site. After just 2 days it was gone again.. Luckily this time it came of during charging at night, found it under my matras. The replacement is exactly the same as the original sd card flap. And my phone is still waterproof. Tip: open the flaps very slowly and avoid putting any stress on it, the ‘cord’ holding it in place does not look like it can handle alot. It stays put by a ball of plastic at the end and because it’s soft plastic, it can get out pretty easily. Hey Jason, where did you buy your replacement cover? Ei, just wanna know where you got ur rplacement? I cant seem to find ut anywhere. Lost mine sitting on couch once, lost it on bedside table once, this time the little black attachment ball was gone. I still can put it in but I have no clue on how long it is going to stay in place given the phone needs charging. Who knows how many times it can be removed. I called Sony Support today they wanted me to file a claim and send it the whole phone of to Texas just to put in a cover. God only knows how long this process would take. Support said Sony does not provide replacement parts. Whoever designed this port cover must have been smoking the wacky weed, it is useless and this is a So Called Flag Ship phone. Very tacky and cheap. Given the durability problem with the cover I wonder how Sony can claim the phone is “Waterproof”, it looks pretty flimsy to me. Anyway I am here to see if anyone has been able to procure one of these covers in the after market. If so please leave me a message. I sent it back to virginmedia to rectify very bad sound quality Voices sound as if they under water during phone calls. If the integrity of the phone is so dependant the charging cover remaining in place, then it is not is not fit for purpose. 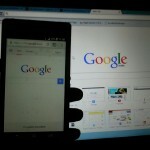 Quich google search has returned many 100’s of pages describing the useless charging cover. 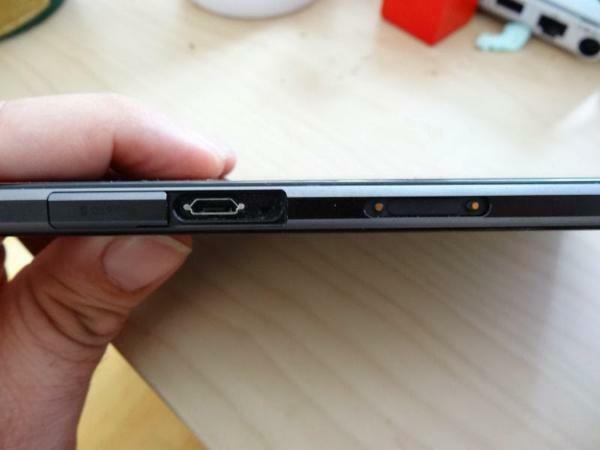 I found this on http://talk.sonymobile.com/t5/Xperia-Z1-Z1s/Z1-micro-usb-port-cover-missing/td-p/415607. Read the post. The person hasn’t received his yet. The link to the store is here. For 11 plus 3 for shipping it is worth it. I am going to order mine today. The claim up to 20 days for delivery. 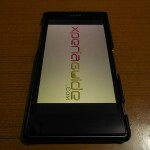 My sony z1 having many problems.well pretty disappointed with the build quality of the phone. my phone’s metallic ring around the power button just got lose,it was pretty weird to know that it was latched on to the phone with only just some glue. and also the cover grill on the bottom loud speakers went off , i think poor quality of the glue is the culprit here.The phone is out of warranty too. Just bought a Z3 in January 2015. My USB port cover came off when I tried to open it. Then, the strip holding it to the phone just got sucked right back inside of my handset. I have no idea what to do. I’m really hoping that Verizon will replace my phone considering this was no fault of my own. I’ve only had it for 3 weeks. This is BS!! Just faced the same problem. I’ve had it for almost 2 years. Flap is still firmly in place. Recently noticed the little rubber on underside of flap is starting to wear abit. This would be my reason for my search the web for replacement parts. But WOW, I can’t believe so many people had the flap fall off and pulled out etc. I found the flap really durable.